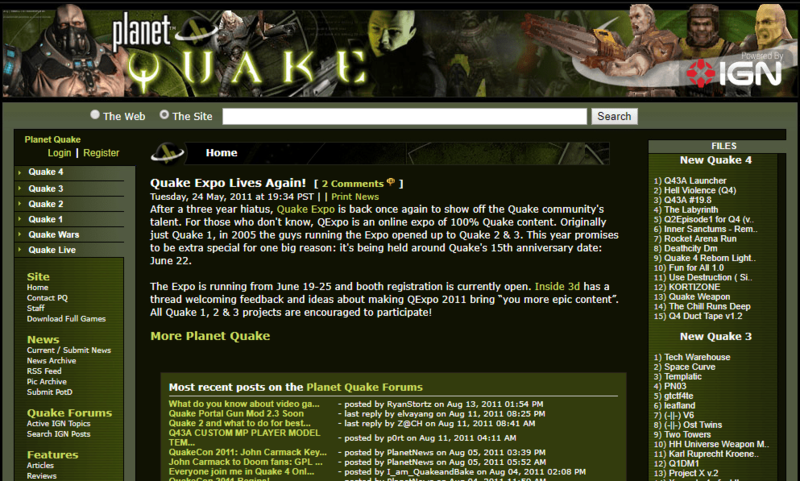 During the past weeks, the QExpo got promoted on various gaming forums, Quake (1, 2 and 3) communities and modding sites. PlanetQuake announced the event 2 weeks ago, and we were featured on international forums, such as Quake Gate (RU). Speedmodding, tournaments, mapping and fiction writing events are waiting for modders, developers, players, mappers and writers. There are some great mods and maps to be presented this year by some great people. Stick around. In other news, QuakeDev.com is going down. Hopefully, the site and all its content will be saved, archived and the domain renewed. I’d like to be a part of this. Quake legacy continues.